Modeliste - 04.2019 » Download PDF magazines - Magazines Commumity! Modeliste Magazine is an oasis of inspiration dedicated to documenting style, fashion, travel and art through an insightful network of contributors, leading industry experts and visionaries. 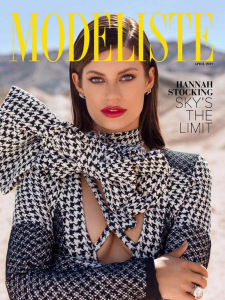 An authentic source for emerging fashion and beauty trends, Modeliste captures style and inspiration through an expert editorial lens from around the world.